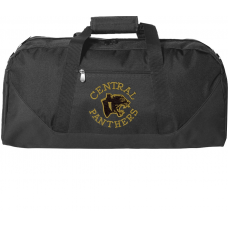 Show your support for the Panthers with this terrific duffle bag! 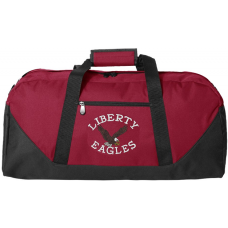 Very sturdy 600 denier nylon bag w..
Show your support for the Eagles with this terrific duffle bag! 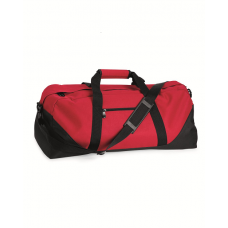 Very sturdy 600 denier nylon bag wit.. 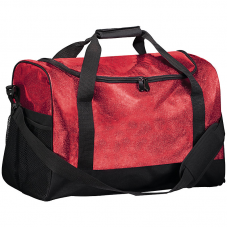 These duffle bags hold an amazing amount! 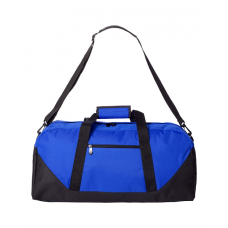 600-denier polyester, with a detachable and adjustable sho..
Heavyweight, water-resistent nylon bag with Quincy Notre Dame logo on side. Large main compartment w..
Sharp-looking duffle bag in navy and gold with the Quincy Notre Dame logo on the side. Bag is heavyw..